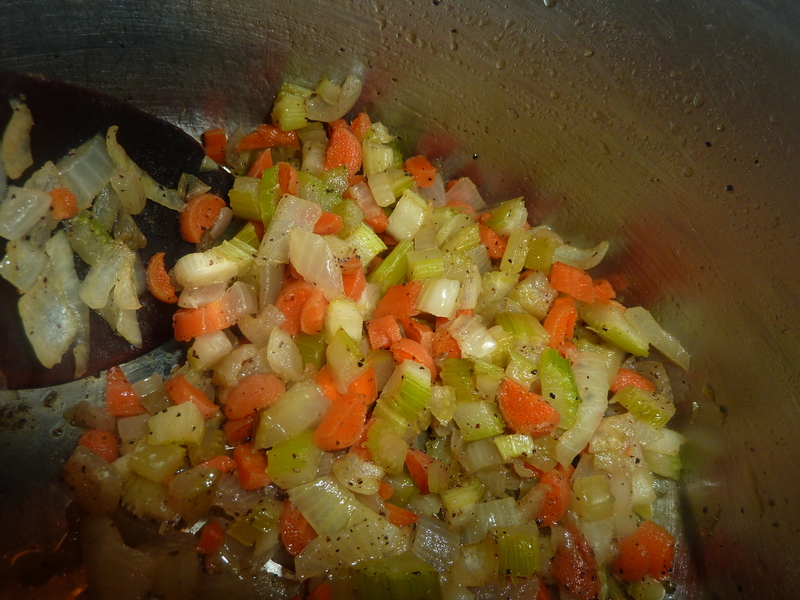 This is my basic pantry soup, weekend soup and also if you are having guests arriving tomorrow. 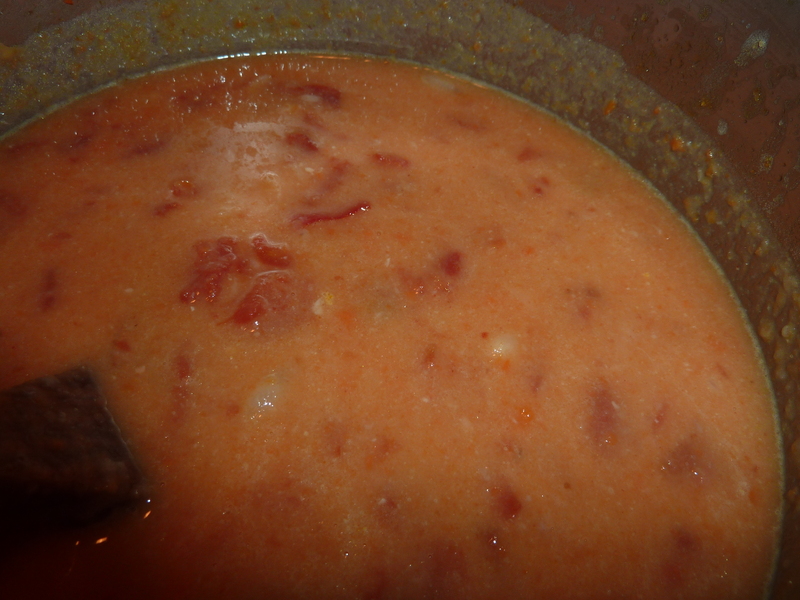 I always have white beans (my favorite is cannellini) and diced tomatoes (both canned) in the house so I make this quick, healthy and comfort soup quite frequently. Add some fresh spinach or kale at the last minute for some variety. 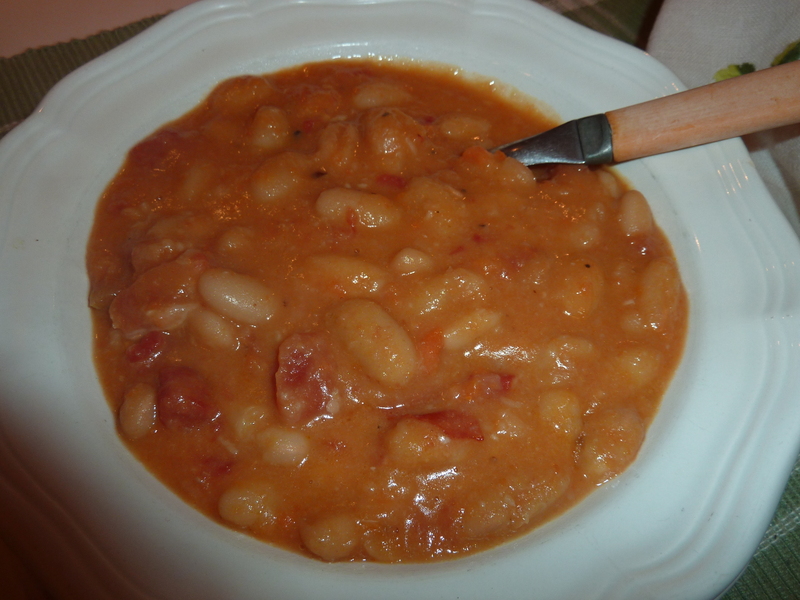 Go see her recipe for White Beans if you are starting from scratch. Delicious!